While the world of tumor suppressors and promoters has been active and productive for decades, to date less than ten genes have been identified as metastasis suppressors, and much about their function mechanism is unknown. This may explain why their therapeutic potential is still untapped. Since metastasis, in most types of cancers, is what puts patients at risk, the search for molecules that can help understand the mechanism of natural suppressors and take advantage of their activity for diagnosis and treatment is both timely and desirable. Since most biological functions ultimately rest on the activity of proteins, the elucidation of the molecular mechanisms underlying metastasis at the protein level has naturally become a major step towards this goal. Mass spectrometry (MS) working hand in hand with structural and cell biology methods, is in a unique position to provide accurate tools for both structural and functional studies of metastasis suppressor gene products. Our group develops methods at the interface of biochemistry and mass spectrometry for the characterization of protein-ligand and protein-protein interactions. Recent years have seen the emergence of high-resolution, quantitative approaches which put MS squarely in the game of structure-function elucidation. We developed tools to quantify protein-ligand interactions for both noncovalent drug candidates (MS method for KD measurements that accurately reflect solution-phase affinity) and covalent drug candidates (localization by quantification, SSPaQ method and software). This last method can also be applied to the localization and quantification of protein modifications. The modifications we characterize can be post-translational (PTMs), or induced voluntarily or adventitiously, through exposure to chemical agents or radiation. We currently focus on elucidating the mechanism of action of metastasis suppressor proteins involved in signaling and proteinase inhibition. In parallel, we look at inhibitor ligands of metastasis promoter ion channels. To this end, we build on our expertise in the characterization of integral membrane proteins to gather structural information that is preliminary and/or complementary to protein complexes structure elucidation. 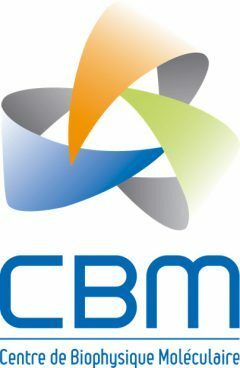 Besides research activities, part of the team also pilots CBM’s mass spectrometry facility, offering analysis of peptides, whole proteins, oligonucleotides, hybrid biomolecules and small molecules. Our mass spectrometry equipment consists of a MALDI TOF/TOF MS instrument (Ultraflex, Bruker) and an ESI-Ion Trap MS (with ETD, Bruker). We also share, within FR2708, two UHR Q/TOF MS (with CID or ETD fragmentation), equipped with ESI / nano ESI sources. Two nano UHPLC, an analytical UHPLC (U3000) and a micro-HPLC (CapLC, Waters) can be coupled to our instruments for LC–MS and LC–MS/MS online analysis. Additionally, a laminar flow hood is available for the sterile and dust-free manipulation of electrophoresis gels.